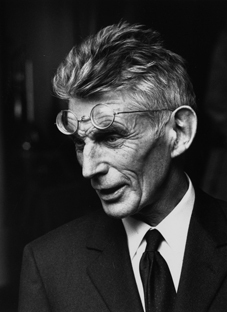 Please join us to participate in a workshop on Samuel Beckett’s Not I (1973) which will explore Beckett’s play in performance and reflect on the insights it provides into concepts of mental disorder, and doctor-patient interactions. This workshop evolved from collaboration between scholars and clinicians during the Beckett and Brain Science project (Arts and Humanities Research Council, 2012). It demonstrates activities adapted from the performing arts and has been used in medical education for consultant psychiatrists and multi-professional teams (Health Education Kent, Surrey and Sussex, 2013). Following the workshop, Jonathan Heron will be interviewed by the AHRC Project Investigator, Dr Elizabeth Barry about their collaborative work in the Medical Humanities.